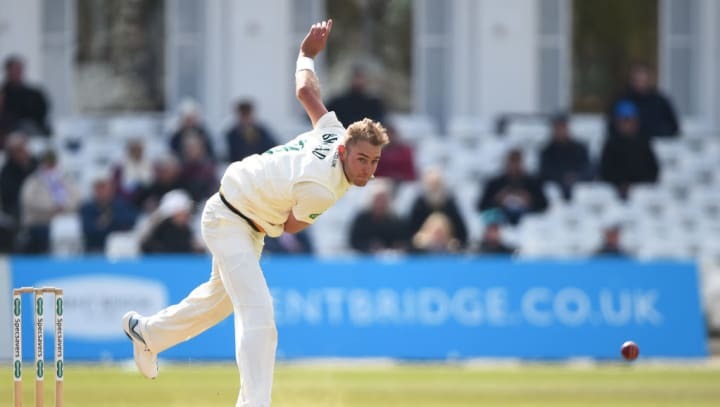 Stuart Broad is set to launch his testimonial year with a question and answer evening - alongside his father, Chris - in aid of the Trent Bridge Community Trust. The event will take place in the Boundary’s Edge inside the Radcliffe Road stand on Friday 26th April, following on from the Outlaws’ Royal London One-Day Cup game against Leicestershire. Cheese and wine will be served as guests are given the opportunity to chat to the duo, as well as Nottinghamshire Club Captain Steven Mullaney, about their long and successful careers in the game. All proceeds from the evening will help to support the range of projects being run by the Trent Bridge Community Trust, who work to advance the education and improve the quality of life of young people across the county. The event signals the start of a year of fundraising by Broad, as he marks over a decade of service to Nottinghamshire. The 32-year-old has taken over 150 wickets for the county during this time, as well as becoming the man to have taken the second most Test wickets for England. The Trust is one of two causes being supported by Broad over the course of the year, alongside charities which raise money for and awareness of Motor Neurone Disease. Ticket donations are £15, and can be purchased from the Ticket Office or by emailing admin@stuartbroad2019.com. More information on the work of the Trent Bridge Community Trust can be found here.